Last fall we launched Whispercast for Kindle, a free online tool that helps organizations easily manage their Kindles and distribute Kindle books and docs at whispercast.amazon.com. We’re excited to announce that recently Whispercast also began supporting distribution of apps from Amazon to Kindle Fire tablets. This means that schools, businesses, and other organizations can now easily procure and distribute apps in bulk to their users. In the past, organizations would have to manually make a purchase through each of their user accounts--this was a lengthy and often laborious process. Now, an administrator can simply login to Whispercast, find the app they want to buy, and push it out to their managed Kindle Fire tablets. If their users have their own personal Kindle Fire, the organization can also use Whispercast to invite them to “opt-in” and gift Kindle Fire apps directly to their Amazon account. For example, schools can now discover an educational app and purchase it for all of their students, Additionally, enterprises that want their users to access corporate e-mail using an app like Touchdown (from Nitrodesk) can easily distribute that app to all of their employees. For more information about Whispercast for Kindle, click here. In a recent study of more than 500 games that utilize in-app purchasing on Amazon, we found that mobile games using Amazon GameCircle’s leaderboards and achievements monetized significantly better than other games. For the three-month period from November 2012 to January 2013, games using GameCircle produced 38 percent higher conversion rates and 33 percent more in-app orders per paying customer than games that didn’t use GameCircle. 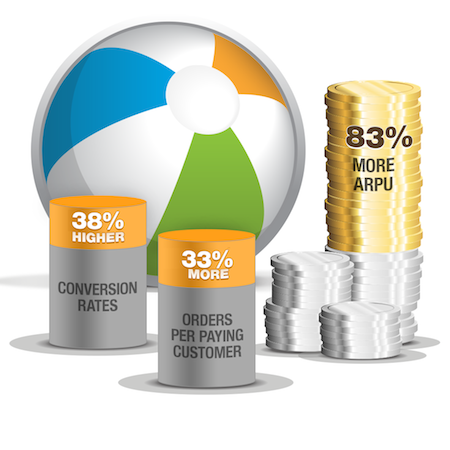 Conversion was measured by calculating the percentage of app users that made at least one in-app purchase. Combining the impact of both of these variables, GameCircle-enabled games earned 83 percent more average revenue per user (ARPU) than non-GameCircle games. The free-to-play (or freemium) model, where consumers download and play a game for free, has become one of the most prominent business models in mobile gaming today. However, the biggest challenge for game developers following the freemium model is figuring out how to generate more revenue by converting non-payers into payers and keeping those paying users engaged. Many of Amazon’s mobile game developers have discovered how GameCircle’s services–Achievements, Leaderboards and Whispersync–have contributed to their success at Amazon. GameCircle lets players connect with other players to compare achievements and compete for higher scores. These social elements get the competitive juices flowing, which may increase a user’s willingness to pay for in-game content, leading to higher conversion rates for developers. “PlayFirst's games on Amazon have performed above and beyond our expectations, and we believe GameCircle has enhanced our ability to connect and engage with Amazon customers, encouraging more play sessions," said Paul Chen, VP of Business Development at PlayFirst. GameCircle also offers new discovery mechanisms that are an important factor helping drive increased engagement rates. For games that have integrated with GameCircle, players can see their friends, achievements, and leaderboard activity before launching the application, since all of this information is visible right from the user’s game library. Leading games such as Skylanders Cloud Patrol, Diner Dash, and Temple Run 2 have already integrated with GameCircle. The image below showcases how a user’s library is populated with GameCircle meta-data. This added visibility is a powerful engagement tool. A related study that we conducted in January 2013 found that, on average, games using GameCircle over-indexed on the number of player sessions (defined by the number of times users opened the applications on their device) by 32 percent when compared to the average for the entire games category. For freemium games that monetize by selling in-game content, this enhanced level of engagement is critical to expanding customer lifetime values. "We see superior engagement, retention and monetization from players who download our games from Amazon. The GameCircle integration is helping us achieve 40 percent better per user monetization rates compared to non-Amazon players," said Sean Thompson, Vice President of Mobile Deluxe. For you, GameCircle represents another opportunity to provide gamers with a more seamless and entertaining in-game experience, which can lead to increased engagement and monetization. 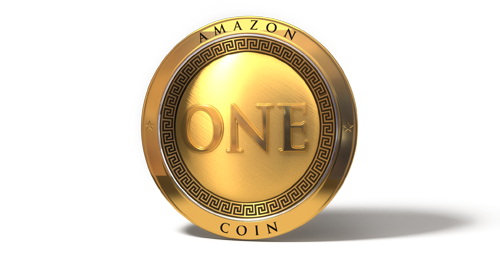 Please visit the following links if you would like to learn more about the Amazon GameCircle and In-App Purchasing APIs. Derek Gebhard, Solutions Architect for Amazon, is our guest blogger for this post. One of the things you will spend time on when building a Kindle Fire app is testing and debugging. Using a Kindle Fire emulator is the recommended way to test and debug your mobile apps if you do not have the device available. This post will cover tips on increasing the performance of the KindleFire emulators, including the newly released KindleFire HD 8.9” emulator, but will also apply to most other Android emulators. For Ice Cream Sandwich-based Kindle Fire emulators(Android SDK 4.0.3, API level 15) you can enableGPU emulation to significantly improve the performance. One thing to be aware of: GPU emulation is currently an experimental feature in the Android tools suite, and may not work on all host hardware configurations or operating systems. If you experience issues, you may need to disable this functionality. To enable GPU emulation, launch the Android Virtual Device Manager. This can be done by running “android avd” or clicking the Android Virtual Device Manager icon in Eclipse. Check “Use Host GPU” under the Emulation Options section. Click “OK” to save your configuration changes. 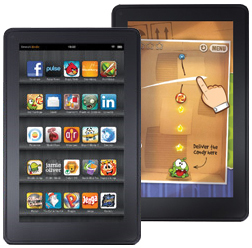 Add the Kindle Fire details according to our configurationguide. Check “Use Host GPU” under the Emulation Optionssection. Click “OK” to create your emulator. To showcase the effect of GPU emulation property, there are two screenshots below. 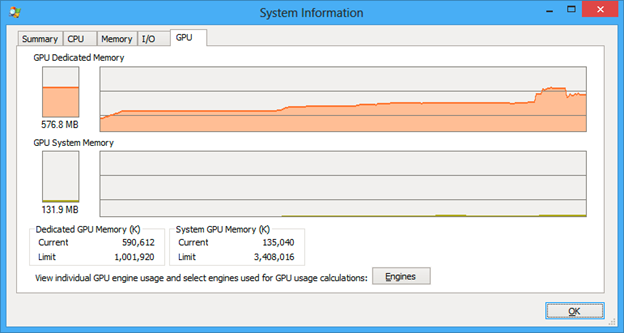 These GPU measurements were taken on a Windows desktop,using the Kindle Fire HD 7” emulator. This test included starting the emulator,running SDK Tester, and accessing the Kindle Fire settings. 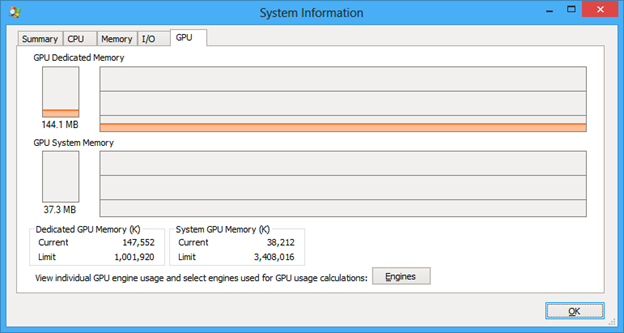 As you can see, GPU emulation must be enabled in order for the emulator to leverage the GPU’s dedicated memory. Close any non-essential processes and programs as the emulator uses a large amount of CPU time and memory when emulating the device. 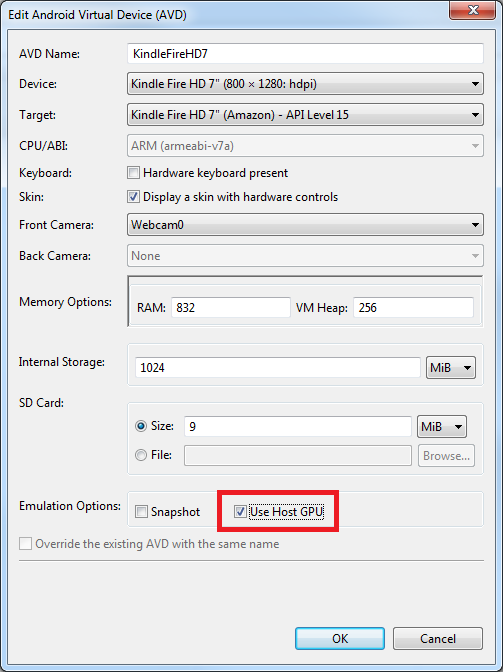 Enable snapshots to save and restore state to a‘Snapshot’ file in each AVD, so you can avoid booting when you start the emulator. Note: This feature is alpha-quality feature so the emulator window will freeze while its saving the state after you close the emulator. Also, GPU emulation and Snapshot cannot be used together. Lower the screen size if your app does not depend upon screen size. Restart the adb server if you experience ani ncrease in the time it takes to install applications on the emulator. This can occur over time and is solved by running adb kill-server followed by adb start-server. We’ve recently updated our marketing resources available for mobile app developers, providing two new badge styles to promote your app’s availability on Amazon. The badges are available in three colors (black, grey, and white), and are localized for all of the countries where our store is currently available. Please use these badges wherever you promote your app’s availability on other app stores. In addition to the badges, we’ve posted layered PSD images of Kindle Fire tablets for your use in line with the KindleTrademark Guidelines. You can layer in your app’s screenshots to showcase your app on a Kindle Fire tablet. Replace “ASIN number” with your app’s ASIN (Amazon Standard Item Number). The ASIN is available on your product page on Amazon.com. Replace “app_name” with your app’s name (and be sure to use an underscore instead of a space). Linking on to your app on the web is currently only available for the US store. Instructions on linking will be available for international stores when their web stores launch. More details on these resources, including guidelines for use, are available within the Trademark Guidelines on the Mobile App Distribution Portal. E-dan Bloch, Solutions Architect for Amazon, is our guest blogger for this post. The new Kindle Fire HD 7” and 8.9” tablets introduce high definition screens that provide a great opportunity for mobile app developers to deliver an improved user interface, high resolution images,and apps that take advantage of more “screen real estate”. While native layouts make use of these higher resolutions by default, layouts within WebViews may require some HTML adjustments to be made. WebView control may display pages that are logically longer and wider than the physical screen size, allowing users to pinch to zoom and scroll through a web page. To accommodate the difference in size, the WebView control takes two properties into consideration: the native view size (the size of the control itself) and the logical view port size (the size of the content currently visible within the control). There are two key properties that mobile app developers leveraging WebViews should be familiar with: the viewport metadata property and the android:theme property. By default, the target-densitydpi descriptor assumes the medium-dpi value. For Kindle Fire HD devices, you should change this setting to high-dpi so that your content will display properly. Alternatively, you can use the device-dpivalue and have the WebView control determine the density dynamically according to the device being used. This automatic setting will cause the viewport to scale differently for each device’s pixel density. Notice how, in the example on the right, the ViewPort size matches the WebView size. The difference, in both examples, between the screen size and the WebView size are due to the status (above) and menu (below) bars. This last value gives you the most screen area to work with. However, this option should be used with care as it affects the user experience by minimizing standard controls such as the clock and battery indicator, as well as the “back”, “search”, and “home” buttons. Notice how, in the example on the right, all buttons are hidden until the user taps on the pull-up button seen on the bottom. For more information, please also see the User Experience Guidelines. One of the great new features that the Kindle Fire HD offers is a set of dual-driver stereo speakers on both sides of the display. This sound setup opens new possibilities to game and app developers by allowing for a more comprehensive and immersive sound experience.With minor adjustments, any app can leverage the stereo speakers and enhance the user experience. By default, Kindle Fire HD uses both speakers to output balanced sound (left speaker = right speaker). By changing the volume on either side, we can achieve an effect of localized sound. As a simple example, we can consider a conga drum app. The app will have two conga drums displayed, one on the left and one on the right. Tapping on the left conga produces sound only in the left speaker and similarly, tapping on the right drum produces sound only in the right speaker. The leftVolume and rightVolume parameters can be set toany value between 0.0 (“off”) and 1.0 (“full volume”). The volume level is relative to the master volume of the device so changing these values is basically just changing the balance between the stereo channels or, in this case, the two speakers. The all-new Kindle Fire and the Kindle Fire HD family of tablets include a new feature, called Billboards, that introduces customers to new apps using engaging and colorful imagery. Ina similar fashion to how large outdoor billboards are designed to catch the eye, our Billboards feature makes use of engaging imagery on the all-new Kindle Fire and Kindle Fire HD storefront to introduce customers to new apps. At Amazon, we are constantly looking for new ways for you to grow your business by connecting you with new customers. Billboards is one of our newest features to improve app discoverability for both customers and developers. When customers view our store on an all-new Kindle Fire or Kindle Fire HD device, they’ll see multiple scrollable billboards at the top of their screen. Each billboard serves as an immediate entry point to its app’s detail page where the customer will have the opportunity to purchase or download the app. Promotional images will be curated from our selection of apps and highlighted in the billboards placement. We recommend developers use promotional images that visually communicate the essence of their app. The promotional image should speak to what your app is all about, your brand and should entice customers to simply check out your great app. Customers will see billboards on the all-new Kindle Fire and Kindle Fire HD. Promotional images should be 1024x 500 pixels and in PNG or JPG format. When creating your image, were commend that you strive for an engaging image that speaks to what your app is all about. Make your image colorful to catch the eye of customers, and choose imagery that promotes the essence of your app and brand. Text on your promotional image should be large, simple, and readable. Do not add the price to the image ($0.99) or any discount call outs (50% off). Once your billboards are ready,submit them to Amazon through the Mobile App Distribution Portal. 1. 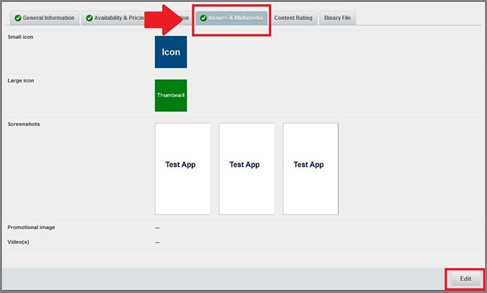 From the Distribution Portal,navigate to the My Apps tab. Select the app you'd like to edit and navigate to the Images & Multimedia tab for that app. Then, click the Edit button. 2. Select Upload Image from the Promotional Image field. Choose the image you’d like to upload, and then save the image. Images must be 1024 x 500 in PNG or JPG format. Jeremy Cath, Kindle Technical Evangelist, is our author for this post. The Amazon GameCircle API gives players more ways to connect with your game and with each other using Achievements, Leaderboards, andcloud-to-device Sync. Achievements add an engaging way for players to track their progress in your game, Leaderboards let them see how they stack up against their peers, and Sync allows users to save progress to the cloud so they can resume their progress across their devices. One issue we have seen developers encounter with GameCircle integration is the CANNOT_AUTHORIZE exception when they are initializing the AmazonGamesClient service. This message can occur even if developers have registered the signature for their application with the GameCircle whitelist. 1. Are you testing on Kindle Fire or on a Kindle Fire Emulator? 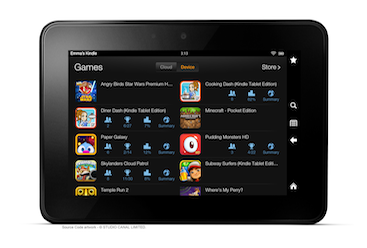 Amazon GameCircle features are only available on Kindle Fire and in the Kindle Fire emulator. 2. Is the device signed in with an Amazon account? 3. Make sure the device has been updated to the latest version of the Fire OS. It is important that you are running the latest version of the OS. To check this, go to the top menu, tap More, tap Device, click the Update your Kindle button if it is enabled. 4. Make sure you're using the latest version of the GameCircle API. The current version is 1.2.1, but you can check if this has changed in the GameCircle API documentation. 5. Make sure you got a valid result from the key tool command you used to get the signature. This will return your signature string. Please check that this is the string that you have registered in the GameCircle Portal. 1. 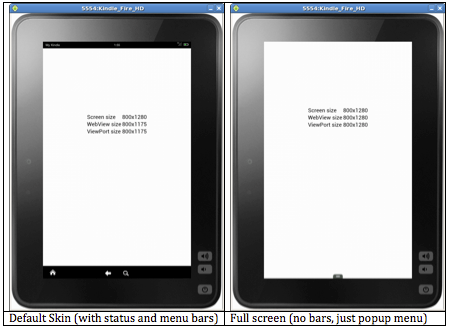 Are youtesting on Kindle Fire or on a Kindle Fire Emulator? 2. Is thedevice signed in with an Amazon account? 3. Make surethe device has been updated to the latest version of the Fire OS. 4. Make sureyou're using the latest version of the GameCircle API. 5. Make sure you got a valid result from the keytool command you used to get the signature. Recently Amazon released Kindle Fire, our newest addition to the Kindle family that showcases a color touch display and provides instant access to the Amazon Appstore for Android and Amazon’s massive selection of digital content, as well as free storage in the Amazon Cloud. 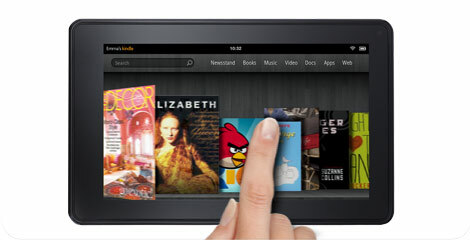 Kindle Fire puts Amazon’s digital powerhouse of content at customers’ fingertips. In addition to the thousands of popular apps and games available in the Amazon Appstore for Android, customers can also choose from over 18 million movies, TV shows, songs, magazines, and books—and all of their Amazon content is automatically stored in the Amazon cloud, free of charge. Web browsing is simple and fast with Amazon Silk and an even better experience because of the Kindle Fire’s vibrant color touchscreen with an extra-wide viewing angle. All this, plus a fast, powerful dual-core processor, and an unbeatable price, make us proud of this newest member of our Kindle family. Don’t take our word on it though—we’re not the only ones admiring Kindle Fire! 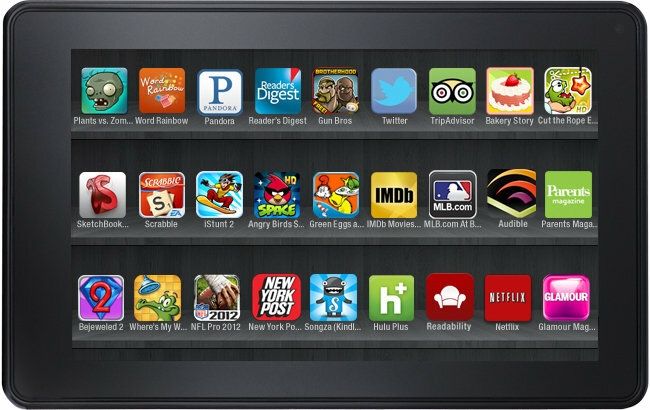 How do you get your app onto the Kindle Fire? Submit it! Simply join the Amazon Appstore Developer Program, if you haven’t already, and submit your app using the Amazon Appstore Developer Portal just as you would if you were submitting to our store for any other supported Android device. All apps will go through regular Amazon Appstore testing, as well as testing for Kindle Fire. What are the requirements for your app to work on Kindle Fire? For your app to work on Kindle Fire, it needs to be compatible with the device's specifications. At a high level, it must be optimized for non-Google Mobile Services (GMS), Android 2.3.4 (Gingerbread), and a 7" screen with a resolution of 1024 x 600. Your app cannot require a gyroscope, camera, WAN module, Bluetooth, microphone, GPS, or micro-SD to function. In addition, your app must not be a theme or wallpaper that manipulates the user interface of the device. As with any other app submission to the Amazon Appstore for Android, your app will also need to comply with our Content Guidelines. For additional information, please visit our Kindle Fire FAQs. What if your app was already submitted - will it be considered? Yes. If you already have an app published in the Amazon Appstore for Android, we will automatically review the app for Kindle Fire compatibility. We're currently in the process of testing our entire catalog of published apps to ensure each app provides a high-quality customer experience on Kindle Fire. 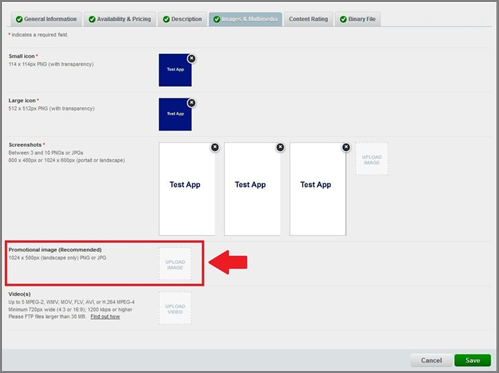 What if you want to test your app(s) prior to submitting? If you haven’t already submitted your apps, submit via the Amazon Appstore Developer Portal. Interested in marketing opportunities? Fill out our marketing request form. 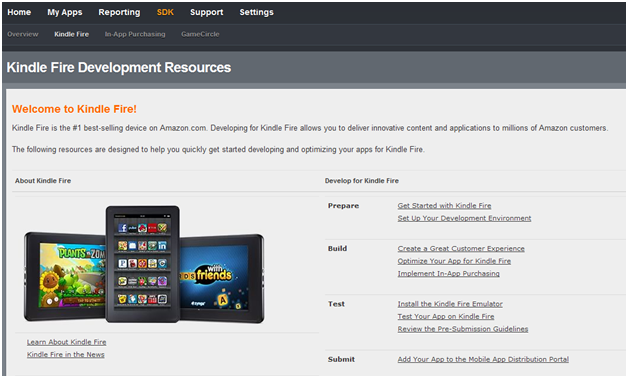 For Amazon Appstore developers, Kindle Fire offers another venue for getting your apps in front of potential customers. You’ll start seeing Kindle Fire, and apps that were Amazon-tested on Kindle Fire for the best experience possible, sprinkled throughout Amazon.com and in the Amazon Appstore marketing campaigns, in addition to the placements where we’ve already been showcasing apps. 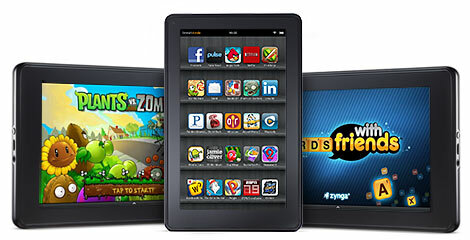 You can view a selection of some of our favorite Kindle Fire apps in the Amazon Appstore here. Some of the titles you may have seen in recent press include Netflix, Rhapsody, Pandora, Comics by comiXology, Facebook, The Weather Channel and popular games from Zynga, EA, Gameloft, PopCap, and Rovio. Thousands of the Amazon Appstore editorial team’s favorites, such as Bird’s the Word, Pinball Deluxe, SketchBook Mobile, Super Sudoku, X Construction, Monkey Preschool Lunchbox, and more are available as well. As always, we encourage you to ensure you have submitted the most current versions of all your apps to the Amazon Appstore for Android. Now is also a good time to verify that each app’s meta-data (including list price) is up-to to-date. You can update your existing apps and submit new apps using the Amazon Appstore Developer Portal. Where can you find the technical specifications for Kindle Fire? The Kindle Fire has a 7” multi-touch display with 1024 x 600 pixel resolution at 169 ppi, can display 16 million colors, and has instant access to the Amazon Appstore for Android. For more detailed information about the device, including technical specifications, app compatibility information, development tips, and instructions for submitting your app, please see our Kindle Fire FAQ. You can order a Kindle Fire to test your apps online at amazon.com/kindlefire. 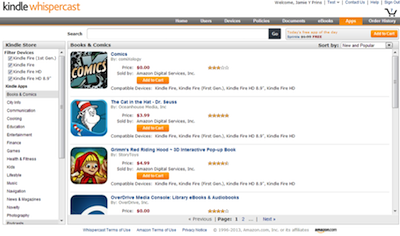 How can developers get merchandising placement in the Amazon Appstore and on Kindle Fire? If you have ideas about merchandising and marketing your app at the Amazon Appstore, or if you would like to be considered for Free App of the Day placement, please fill out the Marketing Proposal Form. Last week Amazon announced the upcoming release of Kindle Fire. Kindle Fire is a new addition to the Kindle family with a vibrant color touch display that offers instant access to the Amazon Appstore, along with Amazon’s massive selection of digital content and free storage in the Amazon Cloud. A fast and powerful dual-core processor powers the 14.6-ounce device that’s light enough to hold with one hand—all for only $199. Customers in the U.S. can pre-order Kindle Fire at www.amazon.com/kindlefire. Read more in the press release. Kindle Fire ships on November 15. We encourage you to ensure you have submitted the most current versions of all your apps to the Amazon Appstore for Android. Now is also a good time to verify that each app’s meta-data (including list price) is up-to to-date. You can update your existing apps and submit new apps using the Amazon Appstore Developer Portal. Where can I find the technical specifications for Kindle Fire? If you have ideas about merchandising and marketing your app at the Amazon Appstore, or if you would like to be considered for Free App of the Day placement, please fill out the the Marketing Proposal Form. We appreciate your interest in the Amazon Appstore for Android and the new Kindle Fire!